Most people tan in the summer, whether intentionally or secondary to other summer activities*. Not me. I try to stay pale the whole ghastly season. Even if I wanted to brown up a bit, this Irish complexion only does two colors: white or lobster. So I bought a big hat and (when I'm good) I put on moisturizer with sunscreen in it. That's enough for the little bit of time I'm outside during the week, but what about weekends? What about my arms and legs? *If this is you, you still need sunscreen. Even if you're naturally dark, you need it. It's a myth that people with dark complexions can't develop skin problems from the sun. I love Neutrogena sunscreen...it protects against UVA and UVB rays. Great post! 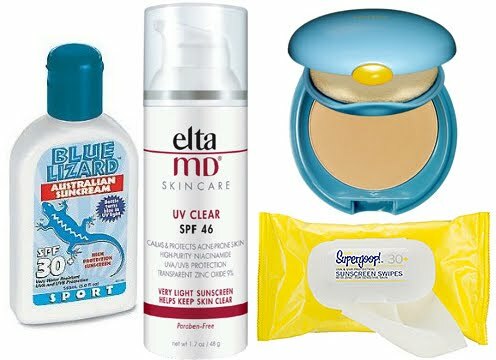 I'm intrigued by the sunblock wipes, but they are a little pricey for me.